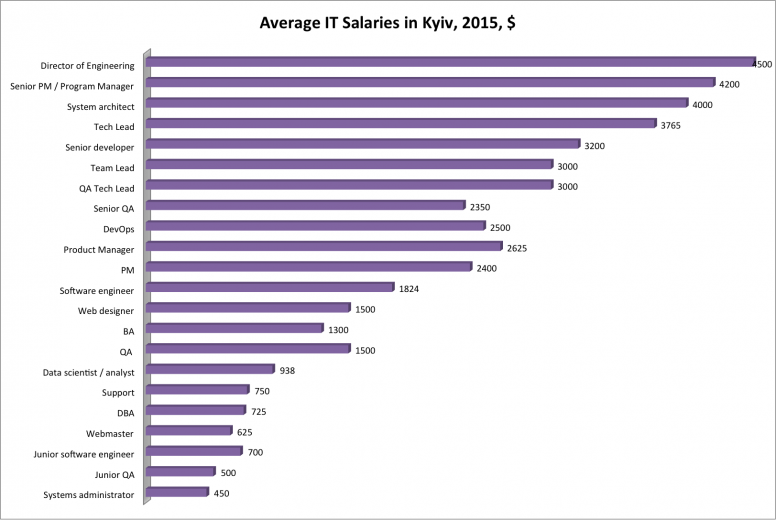 Ukraine’s largest online community of IT specialists, DOU has just released the results of their continuous IT salaries survey as of May and June 2015, and I’d like to share them with our English speaking audience. 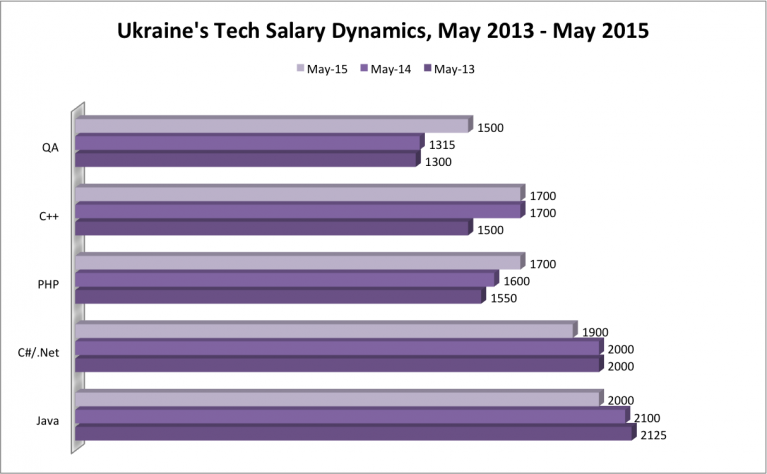 This time, DOU has polled over 6,000 Ukrainian software developers, testers and project managers, of whom 46.6% reside and work in Kyiv, 16.2% – in Kharkiv, Ukraine’s second largest city, almost 10% – in Lviv, and 5.5% – in Odessa. 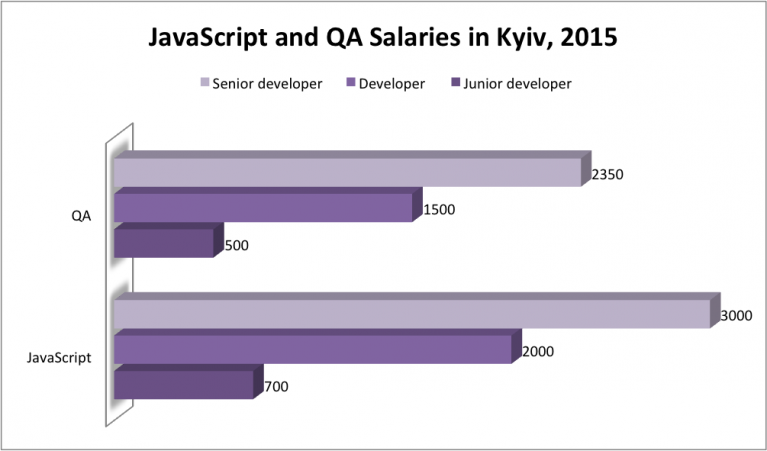 Of all specialists polled, almost 50% work in outsourcing companies, 28.5% – in product companies, slightly less than 5% – in outstaffing, and 4.5% work in startups. 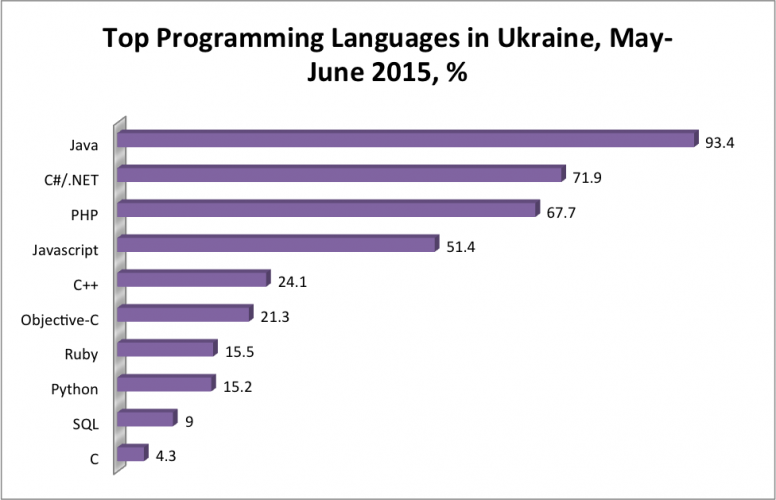 Compared to Q1 2015, Python has lost two positions in the languages’ rating outrun by Objective-C and Ruby. 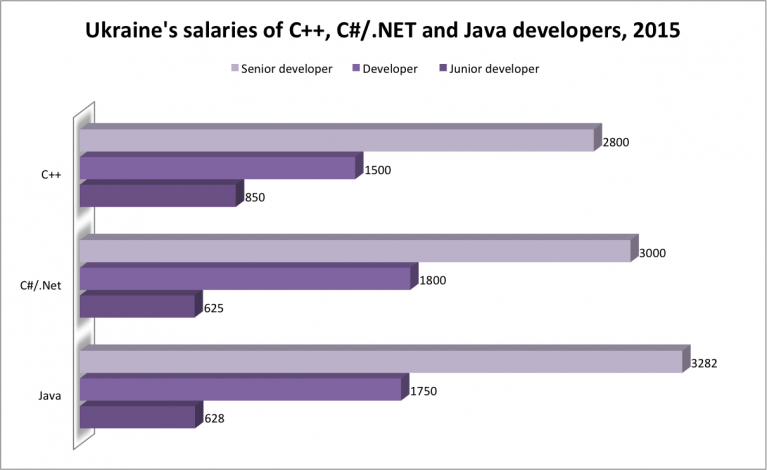 Scala accounts for 2.1% of the programming languages’ market share, which actually indicates no change from Q1. 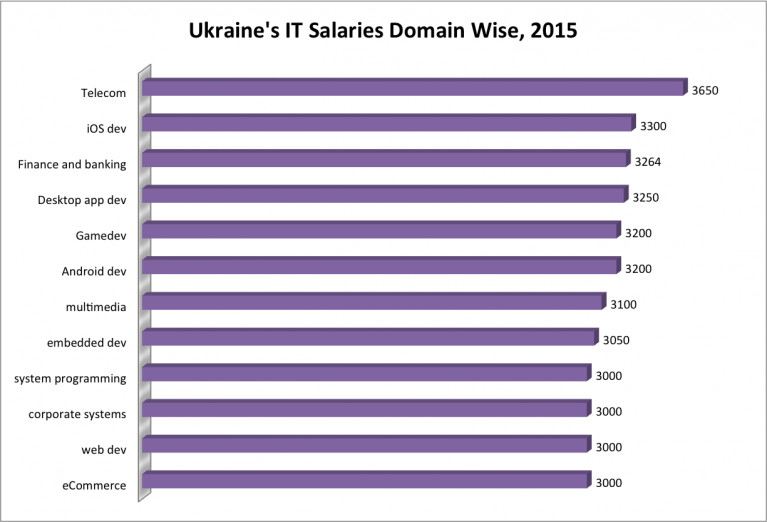 This year, DOU has included a question about IT salaries in each domain that survey participants’ projects belong to. 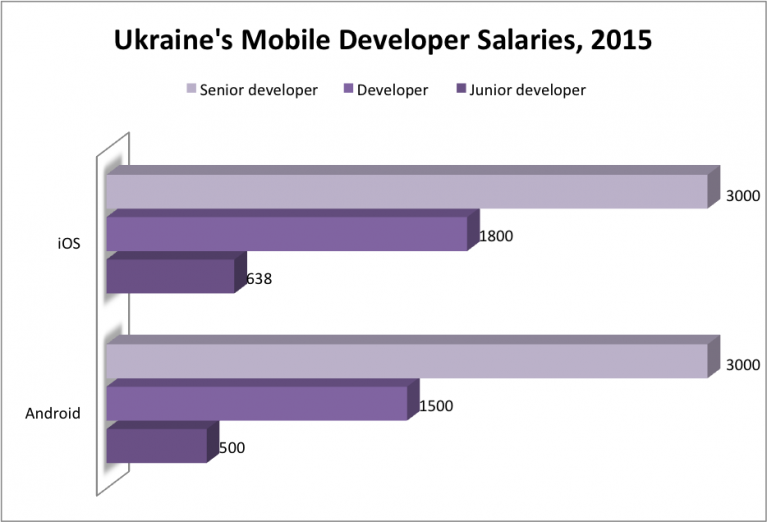 As it turns out, telecom and mobile development projects bring more money to software developers than eCommerce and web dev projects. 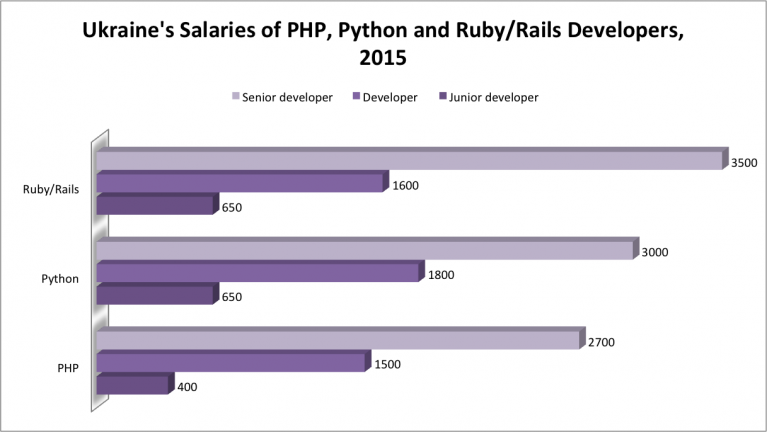 The picture below shows senior developer salaries in different project domains.